Yarn and Fiber Happenings: Dream In Color Lace is on the Way! And the 400 Color Series is Due in 2 weeks! Dream In Color Lace is on the Way! And the 400 Color Series is Due in 2 weeks! Great News! 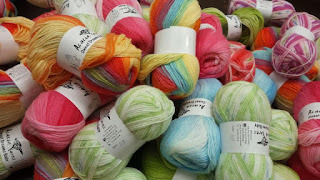 The new Dream In Color Lace Yarn is on its way to us!!!! Yes, of course every color, and yes, this includes the new 400 color series colors. What's that you ask? Of course I ordered the new 400 series colors in Smooshy and Classy! We want to see (knit) them as much as you do! 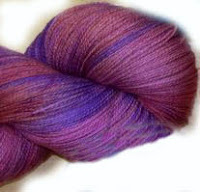 They are all up on our website for preorder - the lace yarn and the 400 series colors. 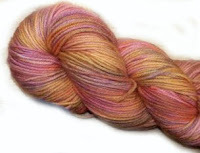 "Dream in Colors Lace Yarn is wonderfully dyed with a truly soft and comfortable feel! 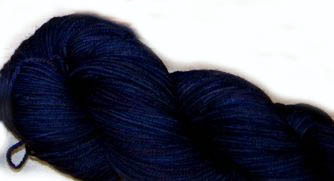 Each 4 oz skein equals 700 yards and knits to a gauge of 9-10 sts per inch on a US #1 - 2 needle. Made from 100% Superfine Australian Merino and is superwash. Dream In Colors yarns are inspired by the play of light in nature, and they use a veil dyeing process that brings depth and life to color, giving garments a subtle, dramatic shimmer and shine. 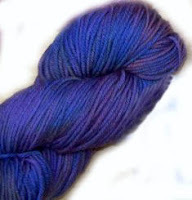 While veil dyed yarn has all the unique character of other hand-dyed yarns, it will not landscape or pool. The result? A magnificent, flattering garment every time! Dream In Colors superwash yarns are machine washable (delicate cycle, cold water) and can be tumbled dry on low heat, making it a perfect choice for socks, baby things or anything that requires frequent washing. What’s more, it’s just incredibly soft! Dream in Color Veil Dyed Superwash is spun from 22 micron 100% Australian merino wool, whereas most traditional wool is significantly coarser - around 28 microns and higher. Finer fibers make for softer yarn, and softer yarn makes for garments that feel comfortable - and never itchy - against your skin. 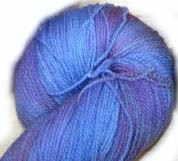 The softness and fine sheen of Veil Dyed Superwash yarn make it ideal for shawls, sweaters and larger garments. 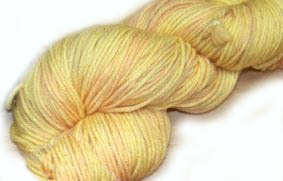 The wool has excellent spring and elasticity. Cables and bobbles will standout beautifully and hold the intricate lace patterwork whilevthe subtle color variations unique to DIC's veil dyeing process won’t distract from intricate stitch patterns the way that many hand dyed yarns will." As with most hand dyed yarns, each skein of Veil Dyed Superwash is unique. It is recommended that the customer use two balls at the same time when working on larger garments. Changing frequently between balls insures that there are no striking color changes in the finished garment.Pre-order your today at the website and enjoy these wonderful and colorful 400 series pictures!